Recently engaged? Escape from busy wedding planning and spend some truly memorable time as a couple making your own barrel of wine. Enjoy the wine as a couple with family and friends or make the barrel to create not-so-ordinary wedding favors. Your story will last for years to come each time you enjoy one of your bottles. Call as soon as you get engaged as the winemaking process from start to finish takes about a year! 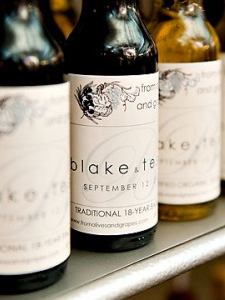 Read our blog about new trends in wedding favors!